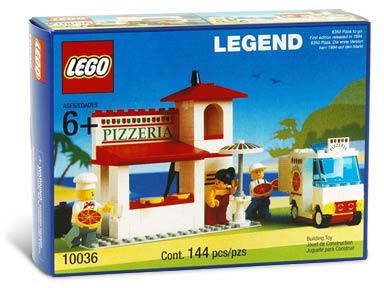 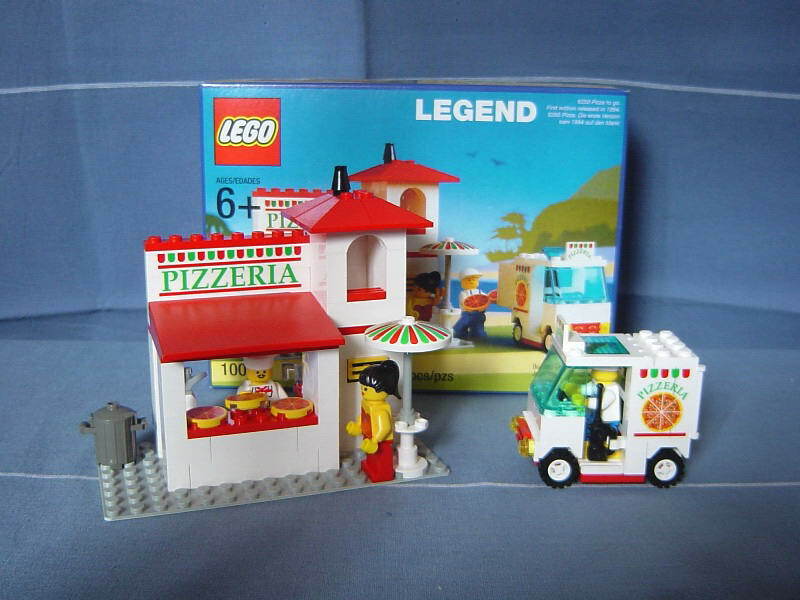 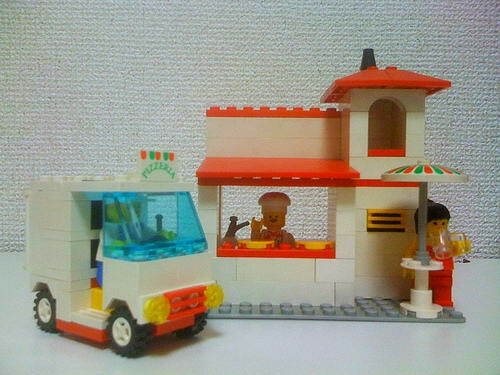 re-released version of similar 6350 pizza to go by LEGO as legend. 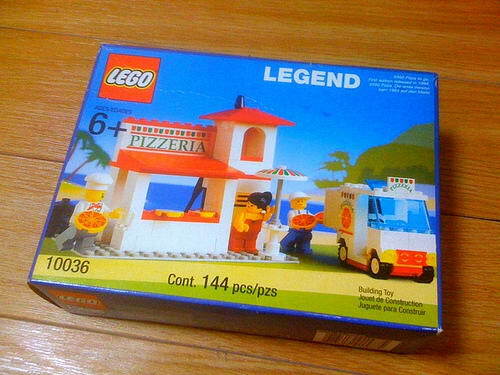 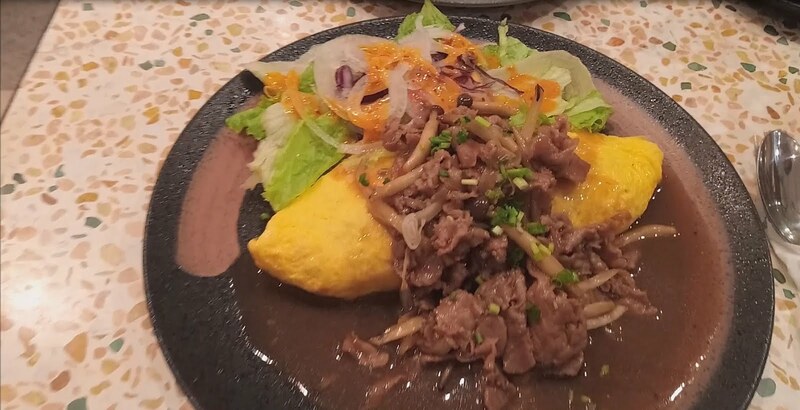 come with a pizzeria and a delivery van. 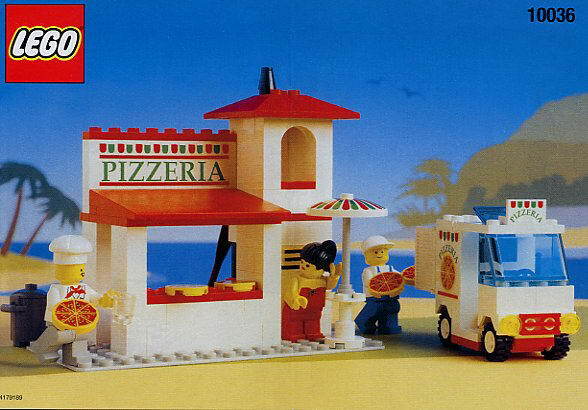 the restaurant has an oven, a water tap, a glass, a chimney, a pizzas table, a garbage can and an umbrella. 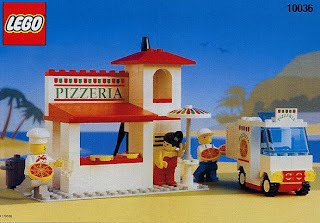 the van can load pizzas for delivery. 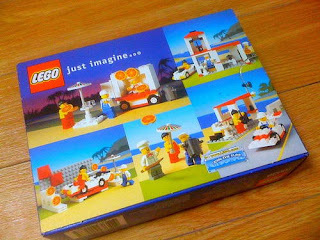 minifigs included a chef minifig, a delivery man minifig and a female minifig.